Christmas has arrived in Bramblewick, along with plenty of snow and festive good cheer. The village is gearing up for the Christmas Eve wedding of popular GP Connor Blake, and much-loved receptionist Anna. At the Bramblewick Surgery, a new GP, Riley MacDonald, is working alongside Connor, and he’s proving to be highly efficient and organised. When Nell Williamson, proprietor of Spill the Beans café and bakery in the village, first sets eyes on Riley, it’s love at first sight. Nell has always believed that she would know “the one” when she met him, and she’s convinced that Riley is the man she’s been waiting for. Riley, on the other hand, is a hardened cynic. Having survived a humiliating broken engagement, he’s keeping well away from relationships, and is confused by Nell’s attentions. Her every attempt to attract him pushes him further away, convincing her friends she’s on a hiding to nothing, even though he turns into a clumsy mess whenever Nell’s around. Deciding she’s a control freak who should be avoided at all costs, Riley makes a serious error of judgement which could cost her dearly. As Christmas approaches, best man Riley and bridesmaid Nell are further apart than ever. Can the two of them reach an understanding before their friends’ big day, or will it be the most awkward wedding in Bramblewick’s history? 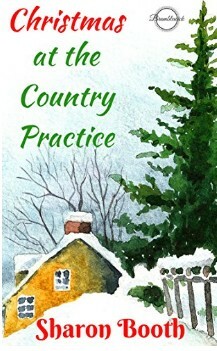 Christmas at the Country Practice is available here.